Lesley Martin describes its printing as “lush, bordering on the indulgent, layering images printed on tracing paper to beautiful and ethereal effect. 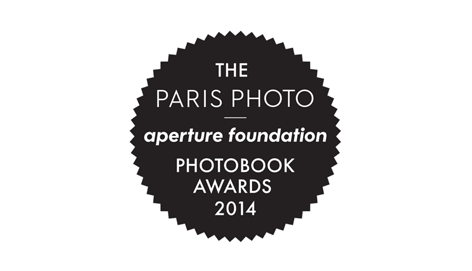 Rocks and space were common themes in this year’s submissions. 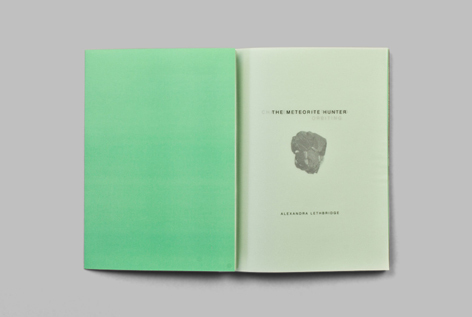 In The Meteorite Hunter, Alexandra Lethbridge has selected the meteorite as “a metaphor for the fantastical hidden in the everyday,” and its hunter as someone who is able to “locate the ethereal and sublime in the mundane and banal.” This might also function as a suitable analogy for photography and the photographer. 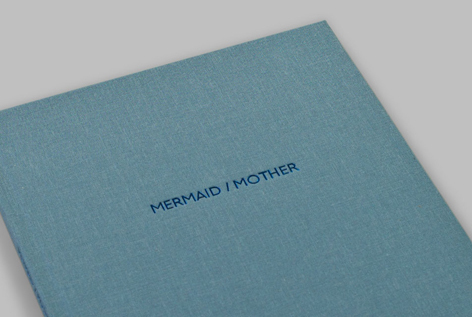 The book itself is a stab-stitch-bound paperback volume limited to an edition of nineteen. 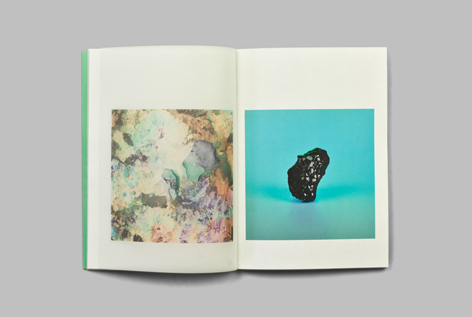 Lesley Martin describes its printing as “lush, bordering on the indulgent, layering images printed on tracing paper to beautiful and ethereal effect.” The series juxtaposes appropriated images with those created by the artist—one of which, we are promised, is an honest-to-goodness meteorite. 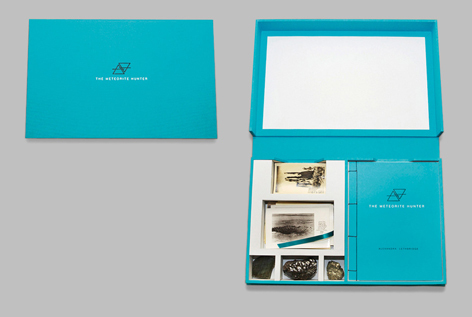 The key to the images (which reveals the secret) is tucked inside the back inside flap of the cover. 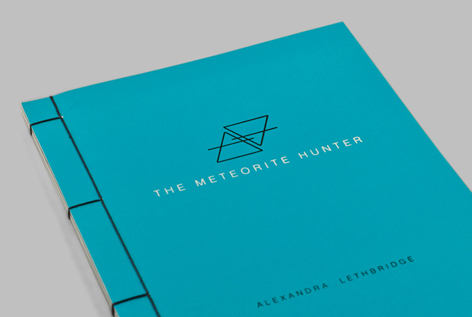 The Meteorite Hunter is an archive of a search for meteorites and the places they come from. 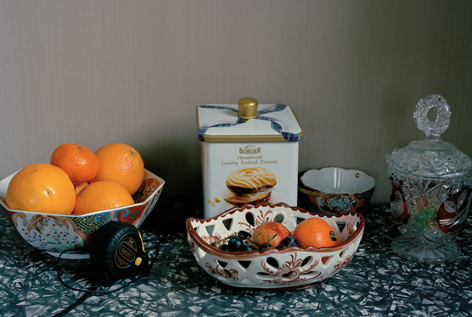 The work is based on the impulse to search for the ‘other’ within the everyday. 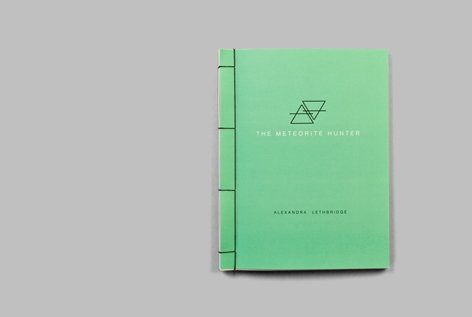 Using the notion of the Meteorite as a metaphor for the fantastical hidden with in the everyday, the body of work is a document of a hunt to locate the ethereal and sublime in the mundane and banal. 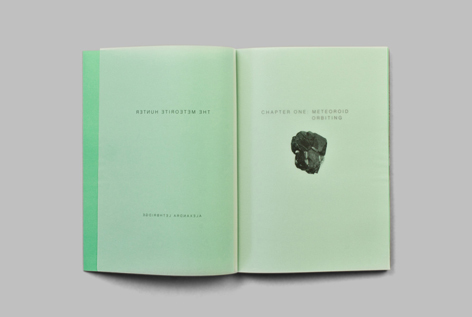 Alexandra’s intreats is in the relationship between the imagined and reality and the parallels that exist between the two. 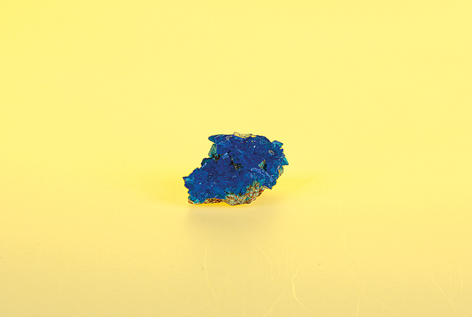 Within this series, I explored the idea of a Meteorite Hunter – someone who is committed to the art of finding space rocks. Their job entails searching for a glimpse of a translunary guest, a clue to something that tells us more about who we are and where we come from. 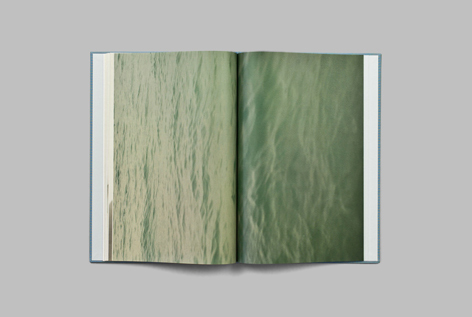 Format Editions latest book, The River Lingers by James Dobson. 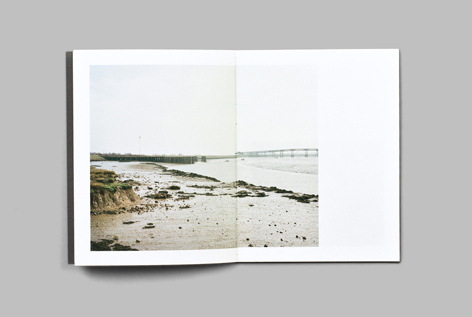 The Thames Estuary is an unresolved and fragmented landscape. The residue of an industrial, military and agricultural past litters half submerged banks, washed by the slow, inexorable clock of exaggerated tidal movements. 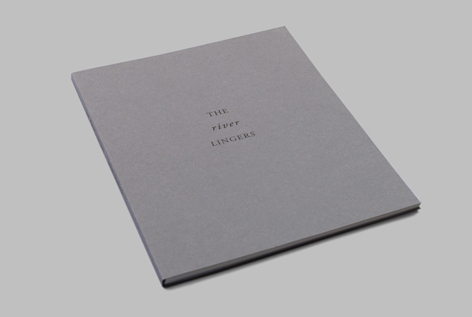 ‘The River Lingers’ is the result of repeated walks along the lower reaches of the Thames and is made in response to the relationship (both poetic and literal) between water and land. The River Lingers is concerned with representations of place; how the natural and the human co-exist, and through the accumulation of time and layering of histories, come to determine the nature of the landscape. 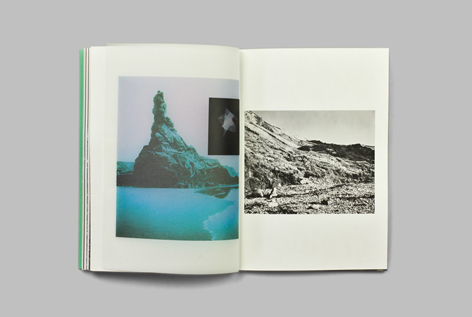 James’s interest has to do with the possibility of a landscape as both a material reality and a receptacle for the imaginary, and the photograph’s role as a mediator of this relationship. 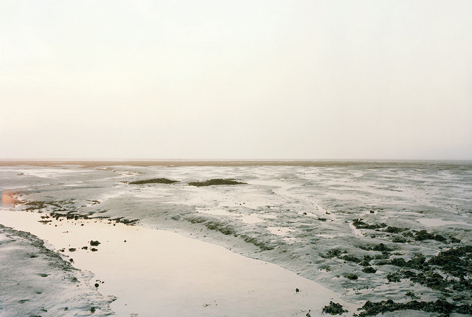 I work mainly in the South East of England, in places where water meets land and the slow rhythms of time are made visible. 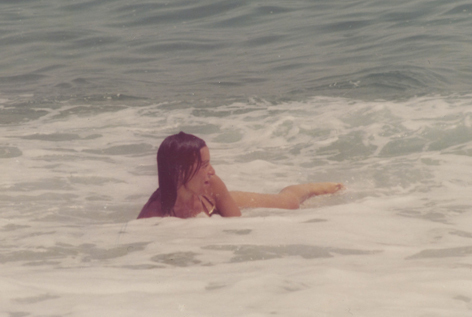 Mermaid Mother explores the author’s memory of being left on the beach as her mother went for a long swim. To prevent her from following she made up a story that she was going to swim with the mermaids. 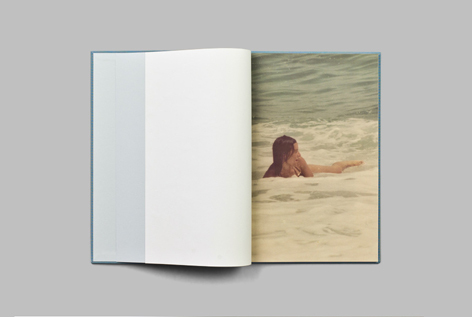 But every time that her mother immersed herself in the sea she believed she would disappear. 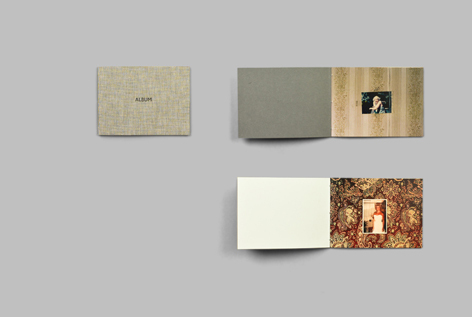 The book uses bible paper and french folding to create a sense of fragility while alas obscuring the full imagery, it aims to evoke in the materiality of the book the emotional state conveyed by the author of her experience. Annalaura’s work explores the potential of visual storytelling in relationship to personal memories, imagination and works of literature. With her practice she confronts the liminal space that exists between the real and the fantastic, the autobiographic and the fictional, with an interest in mythology and the fairy tales. 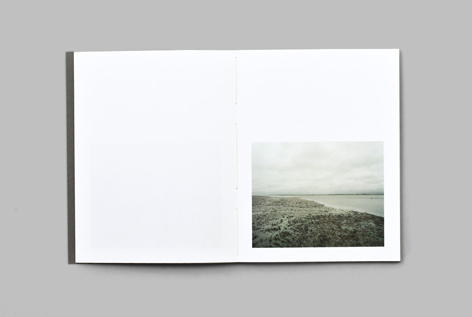 Central to her work lies an investigation around the relationship between text and the photographic image. 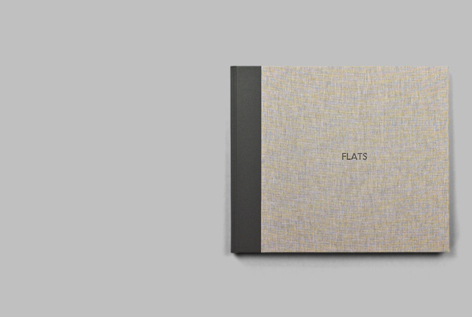 Format Editions are pleased to announce our latest book, Flats by Sharon O’Neill. Flats centres on a council housing block constructed in 1956 as part of the massive post-war house-building programme, designed by Sir Leslie Martin, principal architect of The Royal Festival Hall. Drawing upon archival material from a book Martin wrote in 1939 titled The Flat Book, the work explores photographically the idealistic vision of the young architect, using the building and the current inhabitants of the block to illustrate the ideas of his ‘modern world’ today, in essence the realised future of his 1939 vision. Flats is a photographic exploration of Leslie Martins vision of the ‘modern world’ as told through the lives of the current inhabitants of one of his buildings. 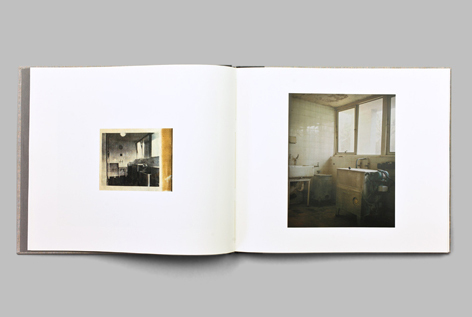 Through a mixture of archival material and contemporary photographs the body of work delves into the everyday world of the occupants of a council block designed and constructed in the mid-twentieth century. Sharon’s practice draws from the sphere of social documentary photography and concentrates primarily on people and places that from the outside seem unexceptional and, by the very nature of their everyday-ness, are overlooked.